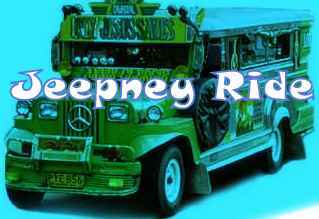 Jeepney is a vehicle for long distance travels and mostly of its passengers belongs to the lowest to middle wage earners. Every morning these jeepney passengers endure long distance travel that most of them do not go home during noon break. That is why some passengers had with them their lunch pack bag. These different lunch pack bags varies for each passengers. It could be a paper bag of some branded shoes, dresses, food supplements, or herbalife nutritional products. Others are bags which are freebies of a well known company, mall or department store. Or it could just be a plain lunch pack bag. For a passenger, whatever it is what matters most is that they have an available bag for their lunch pack that they could carry with them wherever they may go. Well, here is another insight from a viewpoint of a jeepney passenger enjoying her jeepney ride.